CHAMPIONSHIP football has come early for Tyrone and Cavan as they do battle on Sunday for a place in the Division Two semi-finals. Tyrone are in the better position for this round five clash which was postponed at the beginning of March due to the weather. They sit third in the table on 12 points, two ahead of Armagh in fourth and Cavan in fifth. Gerard Moane’s side will be going all out for the win that will secure third place and a semi-final berth, most likely against Waterford. A draw will also be enough but defeat would end their promotion prospects, if Armagh defeat Clare. For James Daly’s Cavan, a win will guarantee them a semi-final place regardless of any other results. That would see them finish in fourth place if Armagh win, with Tyrone missing out, and third if Armagh lose, with Tyrone finishing in fourth. A draw would only be enough for Cavan if Armagh lose. This is a hard one to call. Cavan are a senior championship side who were denied the Division Two title by Waterford last season after a replay. Tyrone, though, have the players too with senior inter-county and club experience. Both sides recorded victories last weekend, Cavan notching up a big score, 8-18 to 0-4, against bottom-of-the-table Sligo, while Tyrone turned in an impressive performance away to Laois to win 4-12 to 2-8. Moane, while not underestimating what is at stake, is treating this fixture as any other league game. “It’s a big game for both counties but we are treating it as just another league game,” he said. 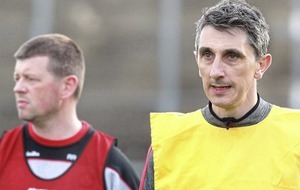 “Home advantage will not make much difference against a team like Cavan, who are senior and have experienced players. “Both teams will be going out to win. Our fate has always been in our own hands the last two games and if we are good enough on the day we will win. ‘‘The team has been improving and that is what the league has been about for Tyrone. We have brought in a lot of new young players this season and we have progressed well. His counterpart Daly believes there is little between the teams and expects the game to go right to the wire. “We are feeling good going into this game with Tyrone. We had a bumpy patch there and lost our shape but we have got back on track and looking forward to a game between two teams who will be up for it and want to reach the league semi-finals,” he said. Daly’s charges had two tough defeats recently to Waterford and Tipperary but returned to winning ways last weekend to Sligo. “With 15 minutes to go against Waterford, we were a point up and then we lost our goalkeeper to the sin bin and it went downwards from there but I don’t think it was as bad as what the 12-point loss suggests. DONEGAL could still miss out on a semi-final place even if they beat defending champions Cork at Ballybofey tomorrow evening. Their defeat to Mayo last weekend saw their hopes of a top four finish dashed as the Connacht side leapfrogged both them and Galway into third place and clear by two points, on 12, with Cork and Dublin already qualified. All Donegal can do is beat Cork and hope other results go in their favour. They need Monaghan and Westmeath to do them favours and win, or at the very least draw with their opposition. Mayo need to defeat Monaghan to ensure an automatic semi-final place. Galway, level on 10 points with Donegal, play Westmeath and will be favourites to beat them. Should Mayo, Galway and Donegal win, Mayo and Galway will go through to the semi-finals with Donegal missing out, even though Donegal and Galway would finish level on 13 points. The Tribeswomen would sneak the final semi-final place because of their head-to-head fixture. Although it finished a draw (1-13 to 0-16) because Galway scored the most points they would progress. If Mayo draw with Monaghan and Galway and Donegal win, the three teams would finish equal on 13 points. Scoring difference will decide who takes the final two semi-final spots. Donegal are in the better position with +50 with Mayo on +9 and Galway on +8. A MONAGHAN victory over Mayo would do their Ulster counterparts Donegal a huge favour in their attempts to reach the semi-finals. In this fixture last year, Monaghan shocked Mayo with a superb victory and Mayo will be only too aware of a slip that would end their own semi-final hopes. It has been a difficult campaign for new Monaghan manager Ann Marie Burns, but with victories over Kerry and Westmeath they have done enough for this league year to secure their top tier status for an incredible 27th season. No doubt they will be hoping to end the league on a high and with that pressure of relegation well and truly gone, they have nothing to lose in chasing victory on Sunday. ARMAGH’s semi-final fate rests in their own hands. Victory in Clare will be enough to seal a top four finish and see their promotion hopes continue. Anything less and it will be a nervy wait to see how other results pan out. 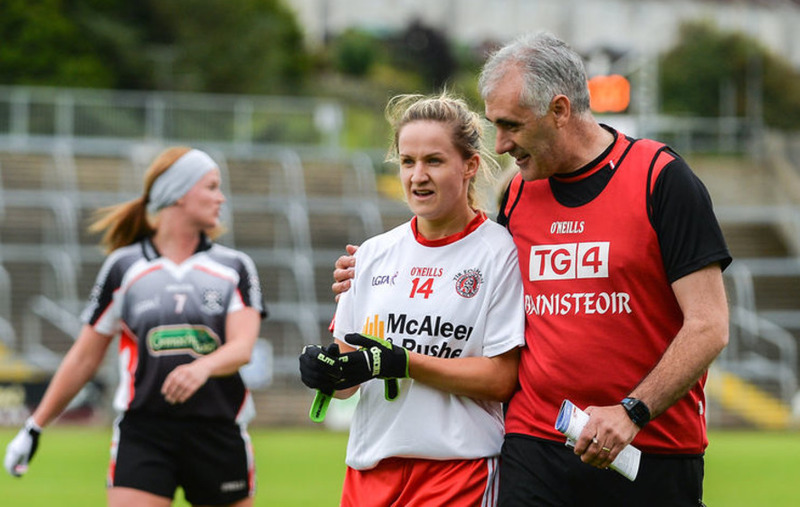 A draw, with a Tyrone victory over Cavan in the other crucial Division Two clash will also be enough, but managers Lorraine McCaffrey and Fionnuala McKenna certainly do not want to be depending on that as Cavan chase a semi-final spot needing victory. Even being on the road this weekend, Armagh will be favourites to win and extend their league season. However, Clare did run leaders Tipperary close last weekend, losing only by two points, but events off the field with the tragic death of former player Rachel Kenneally, will have had a profound effect on her former team-mates. Armagh lost to Westmeath by a late injury-time point on Sunday and will want to put a few things right about their performance. They will be without midfielder Tiarna Grimes, who suffered a dislocated shoulder in that game, but will have Blaithin Mackin back, while Caroline O’Hanlon is on Commonwealth Games duty with NI netball. THE Division Four semi-final line-ups will not be decided until next week as Antrim and Derry’s derby clash has been moved from Sunday to Tuesday. If Antrim defeat neighbours Derry, they will take the last semi-final place, denying Fermanagh, thanks to their head-to-head victory over their fellow Ulster side in the opening round of the Division Four campaign. The Saffrons, who have had a change of manager in recent weeks, with Seamus McKenna departing after the Louth game due to personal reasons, and Benny Marron taking over in the interim at least. Their win over Carlow last weekend coupled with Fermanagh’s loss to Limerick catapulted them from sixth into fourth and reignited their semi-final hopes. With that target, and being at home, they will be favourites to beat Derry, but there is a lot of pride at stake in Derry and Antrim clashes and the Oak Leaf county will be hoping to cause an upset to the formbook. They were awarded the points against Kilkenny, who did not travel at the weekend. Fermanagh were due to play Kilkenny at Bawnacre on Sunday but the Cats have conceded the game and the three points have been awarded to the Erne county. It may not, however, be enough as they look to be missing out on a semi-final spot, their defeat to Limerick last week proving costly. If both Antrim and Fermanagh win, they will both finish on 12 points but because Antrim won their head-to-head encounter in the opening round of the league, it will be the Saffrons who will qualify for the knock-out stages. 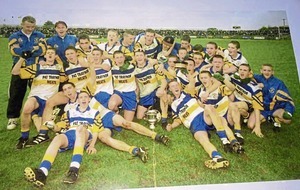 The league, however, has been a big learning curve for Emmet Curry’s team, who have had a large turnover of players following their junior All-Ireland triumph last October. This is a very young team, who even if they fail to make the knockout stages, will have learned a lot from this league as they prepare to rejoin the intermediate championship ranks in the summer. If Derry defeat or draw with Antrim, it will be the Erne County who grab that last semi-final place.